If you have a work injury that becomes a disability, you’re may be entitled to workers compensation. However, let’s look at this from an insurance company’s perspective for a moment. 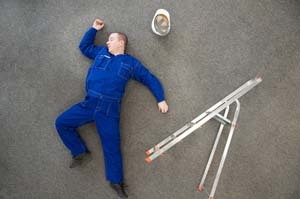 Who are the workers suffering from a work injury that becomes a repeated disability? What do they all have in common? To reduce costs, the insurance company Liberty Mutual is researching how to prevent repetitive disability. Scientists at their research institute in Massachusetts tracked 894 cases of workers compensation low back pain claims for one year. With sophisticated statistics programs, they analyzed the cases and created something they called a hazard ratio of disability recurrence. This referred to the tendency of a patient with a work injury to develop disability and have to be treated again and again. One factor they took into account was whether a person's likelihood of repetitive disability was impacted by the type of health provider they saw. You can draw your own conclusion here but it seems pretty obvious – when a chiropractor treats a low back pain work injury, the chances of the low back pain being resolved are a lot higher than for other methods of care. This most likely is because spinal manipulation restores the movement in the joints so they can function properly. Spinal manipulation influences the central nervous system, which controls the entire body. You end up with an overall jump in wellness with chiropractic methods of treatment that aren’t found in other methods of healing. 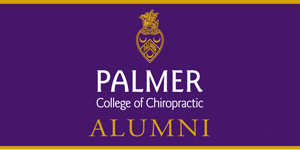 If you have been suffering from a work injury and still haven’t seen a chiropractor, give us a call today. Studies show that even those who are treated long after the work injury occurred still get excellent results. Don’t wait for your healing; do something today. Call our office in Nashville, TN for an appointment! Cifuentes, M., Willetts, J., and Wasiak, R. Health maintenance care in work-related low back pain and its association with disability recurrence. Journal of Occupational and Environmental Medicine 2011; 53(4): 396-404.